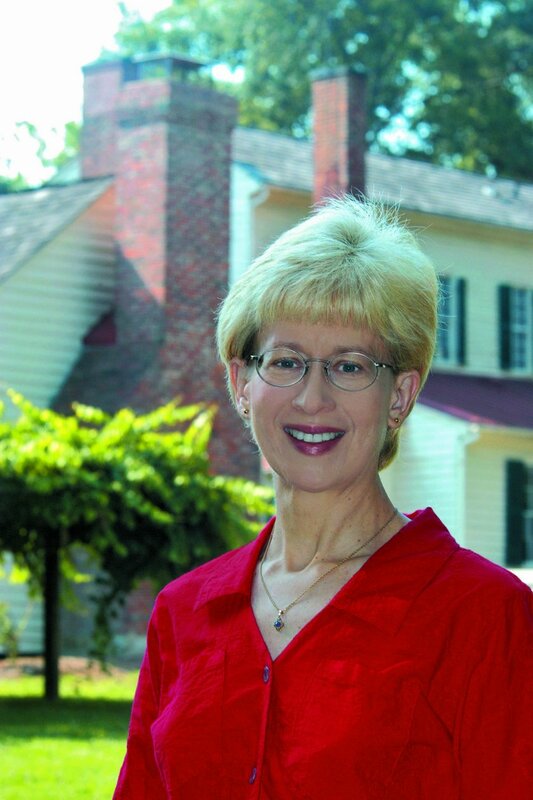 Please welcome award-winning novelist Suzanne Adair, a Florida native who lives in a two hundred-year-old city at the edge of the North Carolina Piedmont, named for an English explorer who was beheaded. Her suspense and thrillers transport readers to the Southern theater of the Revolutionary War, where she brings historic towns, battles, and people to life. She fuels her creativity with Revolutionary War reenacting and visits to historic sites. When she’s not writing, she enjoys cooking, dancing, hiking, and spending time with her family. Welcome Suzanne! All this redcoat business started back in the late 90s, when I went hunting for exciting fiction to read about the Southern theater of the Revolution—and found none. Other readers bemoaned the dearth of such fiction, so I took it upon myself to plug the gap. The result was a trilogy that showcased wartime experiences of women during the Revolution through three female protagonists. 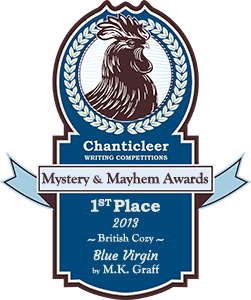 Paper Woman won the Patrick D. Smith Literature Award. 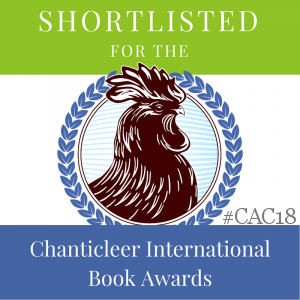 Camp Follower was nominated for the Daphne du Maurier Award and the Sir Walter Raleigh Award. I enjoy treating readers to the little-known history of the South’s role in the war. Readers enjoy exploring and learning this history. And not only does my fiction educate and entertain, it helps readers escape the “slings and arrows” of life in the 21st century. Huzzah! What readers learn is a piece of the past skipped over in American History class. From January through November 1781, North Carolina was a strategic military focal point because the Eighty-Second Regiment, commanded by Major James Henry Craig, occupied Wilmington. We don’t often hear about a successful British campaign in American History class, so I’ve made this occupation the baseline event for Michael’s series. If you never learned that Major Craig’s activities dramatically reduced the efficacy of the Continental Army in the South and prolonged the war almost a year, you probably also don’t know about the strategic importance of Cross Creek (now called Fayetteville, North Carolina) to both the British and Continental Armies early in 1781. Or Major Craig’s desperate attempts to run dispatches to Lord Cornwallis concerning Cross Creek in January and February 1781. Or Cornwallis’s occupation of Hillsborough, North Carolina in February 1781. And history about the Regulator Rebellion, which left its scar on Hillsborough in June 1771 with Governor Tryon’s execution of six men there, is completely overshadowed by the activities of the Revolutionary War a decade later. I folded all this neglected history into Regulated for Murder. I set Michael up as Major Craig’s dispatch runner to a loyalist contact for Cornwallis in Hillsborough in early February 1781. Then I asked, “What if?” What if Michael found the loyalist contact freshly murdered upon his arrival in Hillsborough? What if Michael had no way to continue his mission except by solving the murder? What if the executions of six Regulators ten years earlier figured into Michael’s February 1781 woes? And what if Michael had a secret that, if exposed, could earn him courts martial and execution? The result was a historical thriller titled Regulated for Murder. And there’s much more to the Revolutionary War history of North Carolina in 1781. A full, exciting series worth. Welcome to Michael Stoddard’s series. It’s my honor and pleasure to let the rollout of real historical events dictate Michael’s external conflicts while I develop his internal growth across the year 1781 and persuade you to cheer for the redcoat. For ten years, an execution hid murder. Then Michael Stoddard came to town. Bearing a dispatch from his commander in coastal Wilmington, North Carolina, redcoat Lieutenant Michael Stoddard arrives in Hillsborough in February 1781 in civilian garb. He expects to hand a letter to a courier working for Lord Cornwallis, then ride back to Wilmington the next day. Instead, Michael is greeted by the courier’s freshly murdered corpse, a chilling trail of clues leading back to an execution ten years earlier, and a sheriff with a fondness for framing innocents—and plans to deliver Michael up to his nemesis, a psychopathic British officer. Thanks, Suzanne! 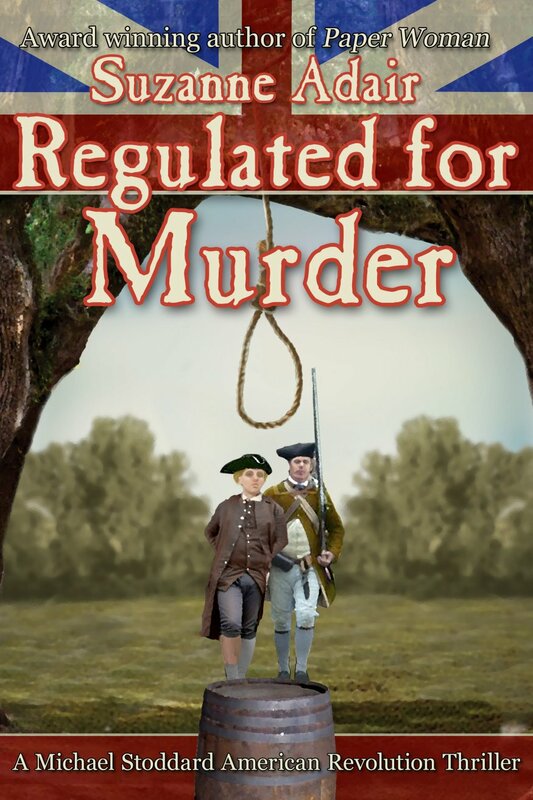 Readers can look for Regulated for Murder at Amazon, Smashwords, and Barnes and Noble. Visit her blog (http://www.suzanneadair.typepad.com/) and web site (http://www.suzanneadair.com/) for more information. Follow her on Facebook (http://www.facebook.com/Suzanne.Adair.Author/), Twitter (http://twitter.com/Suzanne_Adair/), and Goodreads (http://www.goodreads.com/author/show/1188958.Suzanne_Adair/). Did you like what you read? Learn about downloads, discounts, and special offers from Suzanne Adair and her author friends. Subscribe to Suzanne’s free newsletter (http://tinyletter.com/Suzanne-Adair-News/). Fascinating background for what sounds to be a fun book, Suzanne. What an interesting story! Can’t wait for it to come out — right to the top of my reading list! 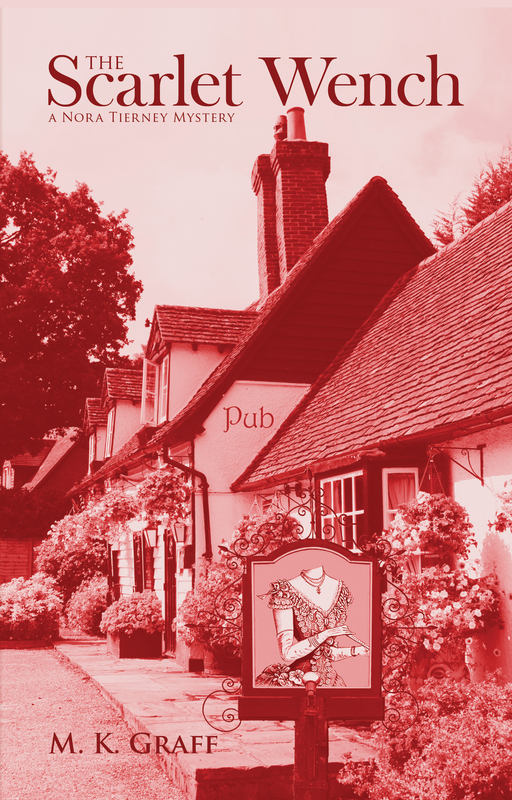 Counting down the days Suzanne–as is my friend I turned on to your prior three books (actually, she wants you to kill off Fairfax, but I told her your description of Regulated’s psychopathic British officer must mean Fairfax will return here LOL). Any thought of continuing Helen’s story at some point in time (inquiring minds want to know)? Auntie M, thanks for having Suzanne here–you have a very interesting blog that has just been added to my bookmarks (The Blue Virgin looks really good). Thanks, Linda! 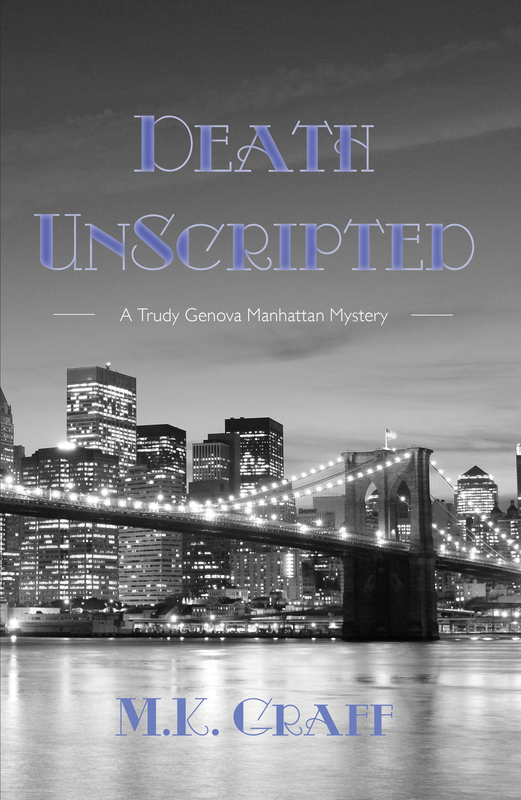 I do weekly mystery book reviews and occasionally host guest bloggers with great books like Suzanne. We’re all in this together! Marni, thanks for hosting me on your blog this week! Thanks for stopping by, and thanks for recommending my books to your friends! Ahh, Mr. Fairfax. I must be doing a good job with his characterization, as plenty of readers want to see him again *and* want me to kill him off. So yes, you’ll see him again, and yes, he’ll be offed — but not immediately. Sounds like a really good yarn with different characters. Weren’t all British officers a little off-the-wall? I think of “Gentleman Johnny” Burgoyne who traveled to Saratoga with a caravan of mistresses, wine and other luxeries. Hi Marilyn, nice to see you here. Goodness, that’s a fun question! Over the years, Hollywood has imparted upon us quite an impression of British officers in the Revolutionary War. The truth is that each British officer who had a “personality” had a counterpart among the opposing forces. In fact, some of the most off-the-wall rebel leaders checked in from the South — guys like Francis Marion, Andrew Pickens, and Thomas Sumter. We hear a lot about the Continentals capturing Crown forces baggage trains, then oohing and aahing over all the wine, tea, salt, cloth, etc. What we don’t hear is that both sides made it a point to capture each others’ baggage, as some really good stuff could be found there, no matter what side you were on. Officers on both sides preferred it comfy at the end of the day. Hi folks, as some of you noticed, we’ve had some technical difficulties in posting and viewing comments this past day, but it looks like we’re back in business. Thanks, Marni, for continuing to troubleshoot. Rhonda, thanks for stopping by! Major Craig added insult to injury. He didn’t just thwart the Continentals by using his regulars from the 82nd Regiment. He thwarted them by inspiring and mobilizing civilians on the Crown’s behalf. Thus he greatly increased the force of fighting men beneath his command. In some cases, it was neighbor v. neighbor, so you can see the civil war aspect to it. Fortunately for Gentleman Johnny B. he was allowed to keep everything — except the mistress, whom some say was really a spy for the continentals — and stayed as a guest at the aristocratic Schuyler house in Albany until he went back to London to write plays. Marilyn, wow, was this Johnny’s personal baggage or the company’s baggage? I suspect that they were a lot more courteous to each other in the earlier days of the war. After the focus moved into the South, everyone was fed up with the war, and it became “No more Mr. Nice Guy” on both sides. Besides, the Continentals might have been feeling magnanimous toward the Brits re: the Saratoga win. This was a big win — a REAL win — for them. Yes, they were probably polite because they won in Saratoga. When the British regulars filed by to surrender their rifles they were impressed that the colonial rag-tag forces stood in line with respect and with solemn faces. To me the Saratoga Battlefield is sacred ground, like Lexington Green and the Concord bridge in MA. I get the shivers just standing on those locations.